That should tell you that Narikunni indeed has a feast lined up. This weekend’s Malabari menu is a balance between well-known vegetarian and non-vegetarian dishes. There are vegetable and tuna cutlets to begin with, sambar, vegetable stew and avial besides idiyappam and two kinds of stew. The non-vegetarians get three kinds of meat to tuck into – a mutton stew, a meen curry and chicken fry or chicken ularthiyathu. There will also be rice, which is grown at Narikunni’s farm. While most Keralites eat the fat-grained red rice, Narikunni says that he wanted to serve white rice for his first pop up. “I wanted to play it safe.” Of course, there’s paal paayasam for dessert as well. 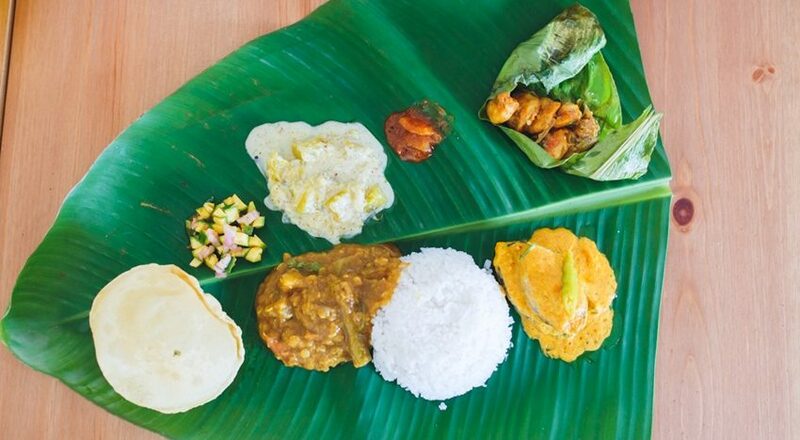 Earlier this year, the Narikunnis also set up Underground Kitchen, a take-away enterprise, which has on its menu Malabari, Coorgi and Goan dishes such as Pandi curry (pork curry), Chicken Xacuti, Halwa Moilee, Prawn Balchao, which can also be stored and eaten as a pickle, Prawn xcec xcec made using roasted dry spices and coconut milk and an extensive vegetarian menu as well. To book your spots for this Malabari pop-up on August 6 at 1 pm in Kalyani Nagar in Pune, go here.